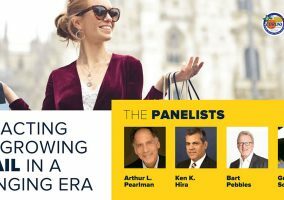 Corona, CA – The City of Corona has taken another major step forward in its vision to be a leader of local government transparency and data-driven operations. 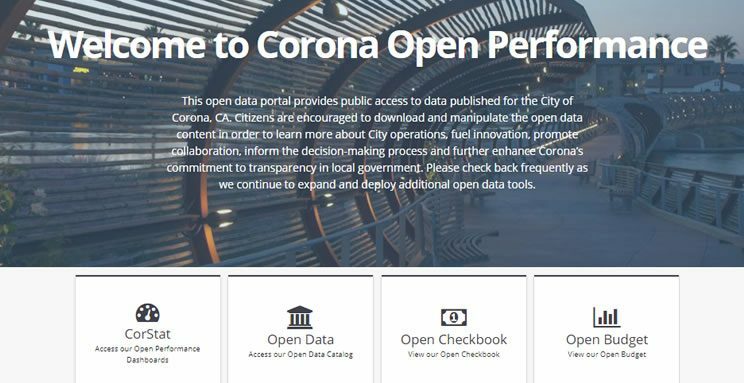 The City’s new open data dashboard, called “Corona Open Performance,” provides citizens with a wealth of information and data sets at the click of a button geared towards improving efficiency, effective service delivery and community engagement. Corona’s open data dashboards, powered by Socrata, are a way for people to make sense of large amounts of data in a visual format. Site users can download the data sets in spreadsheets, flag data sets to watch or compare, create visualizations, such as maps, charts and graphs, as well as embed the data into other websites. Currently, Corona has 91 data sets available for consumption that cover a variety of City operations, such as library and recreation patronage, social media, SeeClickFix, finance, business licenses, Police and Fire Department activity, and transportation, to name a few. The Corona Open Performance project was developed through the City’s participation in What Works Cities, a national initiative launched by Bloomberg Philanthropies in April 2015. What Works Cities has helped 100 local governments across the nation deploy data and evidence to make better decisions, deliver more effective services and programs and improve residents’ lives. “Making data-driven decisions, ensuring access to key data analytics in real time and providing data visualizations to fuel citizen engagement are now mission critical for sustaining and improving current service levels for our community,” said City Manager Darrell Talbert. The Corona Open Performance platform will continue to evolve as goals and objective are set and the City works towards achieving those long-term performance management targets. The City will continue to release additional data sets as they become available. The City of Corona partnered with Socrata, a Tyler Technologies company, because it wanted a new program to streamline and more efficiently deliver large amounts of data in a rapid, organized and easy-to-use manner. Data on Socrata’s platform is machine-readable via application programming interface (API), making it possible for businesses, researchers and organizations to build applications using the data. Examples of successful businesses using Socrata-hosted, public data are Yelp, Redfin and Porch. 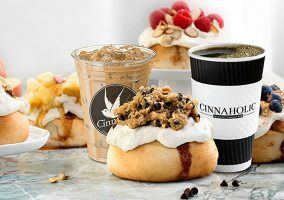 About the City of Corona: Corona is located adjacent to Orange County California at the junction of the 91 and 15 freeways, with a population of more than 160,000 residents. 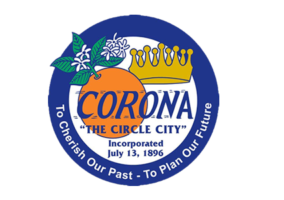 For more information regarding the City of Corona, visit www.CoronaCA.gov.